A team representing Mount Hope attended the Appalachian Gateway Communities Initiative Workshop in May 2017. Communities which border public lands such as state parks and national parks, from across the Appalachian region, assembled in Ringgold, Georgia for the conference. Attendees of the workshop spent three days identifying ways to improve their communities and increase the number of visitors to their adjacent public lands. Deadline for both RFPs extended to Friday, December 22nd! On the verge of more-than 32,000 acres of stunning national parkland, you’ll find a community to treasure, a great place to visit, and a wonderful place to live. Mount Hope looks much as it did during the early-1900’s. Antique storefronts still line its sunny main street. Children regularly race to its ball fields after school. The bells at the Baptist Temple echo across the vale that the community of 1,500 rests within. The arts are alive and well in the greater Mount Hope area. Tamarack, the state’s premier showcase for fine arts, handcrafts, and Appalachian cuisine, is located just 9 miles from Mount Hope. The Tamarack Arts Center was opened in 1996 to promote the state’s artists, crafts people, and the arts and crafts market. Tamarack includes demonstration areas for each art and craft type as well as galleries, sales space, and an auditorium that serves performance artists. 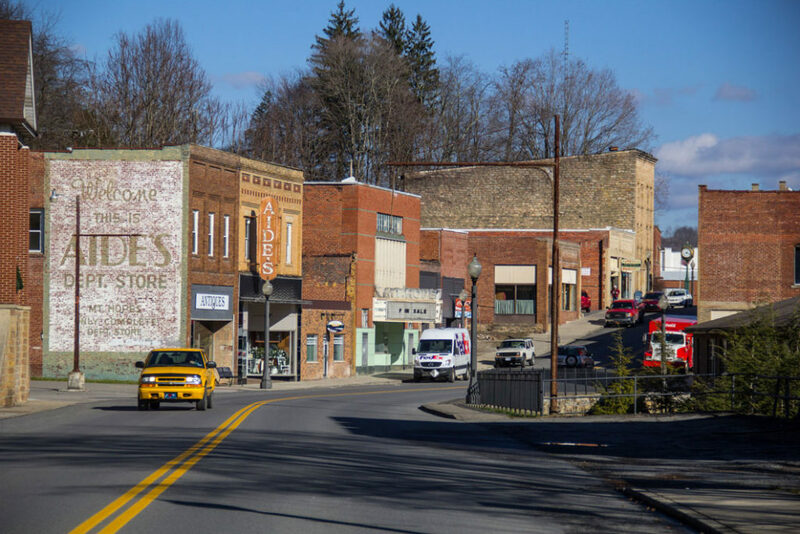 Numerous music and arts and crafts festivals also take place throughout the year thoughout the New River Gorge region, most of which are less than 30 minutes away from Mount Hope.